These are just some of the incredible youth in our Marin community that are making a difference whether locally, globally, or both. Julia Hedleman, current senior and leader at Sir Francis Drake High School, has involved herself through many programs and her own start ups to give herself an extensive background in social justice and environmental issues. She began in a 7th and 8th grade summer camp under the Jewish Family and Children Services organization called Summer Impact. Under this program she spent many hours over the course of her summer break volunteering at food banks and homeless shelters. After her start in the Ceres project, Julia began a Summer internship before her junior year at the Academy of Sustainability and Communications. Here she spent her time interviewing environmental leaders from around the world. She interviewed people working with Native American tribes, learning their views on global warming by Earth’s changing landscape, and even spoke with German NASA scientists on their work with satellites measuring chlorophyll fluorescence. With the write ups from her interviews, Julia spoke on the local KALW radio station, getting these new ideas and people heard all over Marin County. Julia will continue her work in the social justice and environmental field through college at UC Berkeley, and we are lucky as she is clearly making a difference as a youth in our community. Cheyenne was honored last year with a congressional recognition, and became a delegate in the Youth Environmental Leadership Conference. In this four day overnight trip to El Dorado National Forest, she worked with 50 other CA youth, alongside the El Dorado Forest Service, in sharing ideas on ways to create more environmentally sustainable communities within our state. Additionally, within her current internship with ‘Turning Green,’ a local organization focused and lifestyle choices, she helps put on environmental events such as the Conscious College Road Tour. Also through her ‘Turning Green’ internship, Cheyenne attended the Natural Products Expo West in LA for four days, where she learned about sustainable products, and was able to talk to big business organizations about the steps they’ve taken to be more eco-friendly. Cheyenne plans to study environmental management and policy at University of Puget Sound. 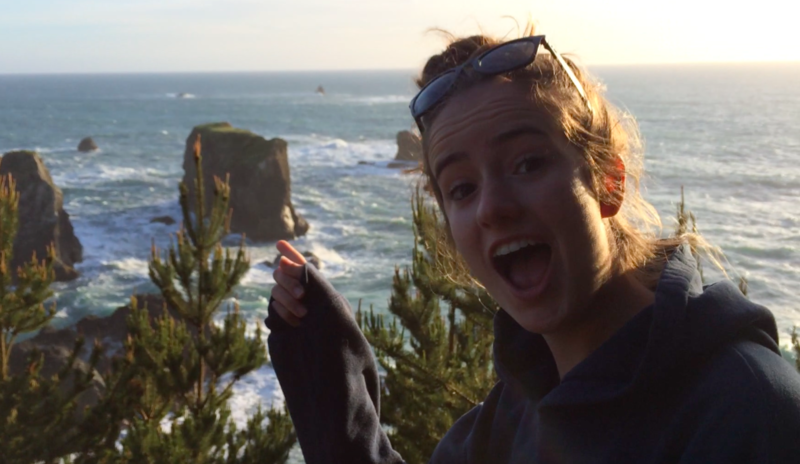 With knowledge and connections gained from the Island School, Rylie entered the second year of her environmental program at Sir Francis Drake High School, SEA-DISC. A two year junior/senior split program, SEA-DISC teaches environmental science through an AP and internship class, using field work as the groundwork for the academy. More recently, Rylie has been working on a campaign through her internship, ‘There Is No Away,’ in trying to stop straw use from restaurants in nearby local towns, and implementing plastic recycling programs in local school systems. Her most recent accomplishment through her internship, under the guidance of Heather Itzla, is the publishment of her article, The Gift From Our Precursors, which highlights her plastic straw banning campaign as well as the consequences of the actions people are making regarding plastic. Rylie looks to widen her knowledge and involvement in the environmental field in her upcoming years as she attends Lewis and Clark College.